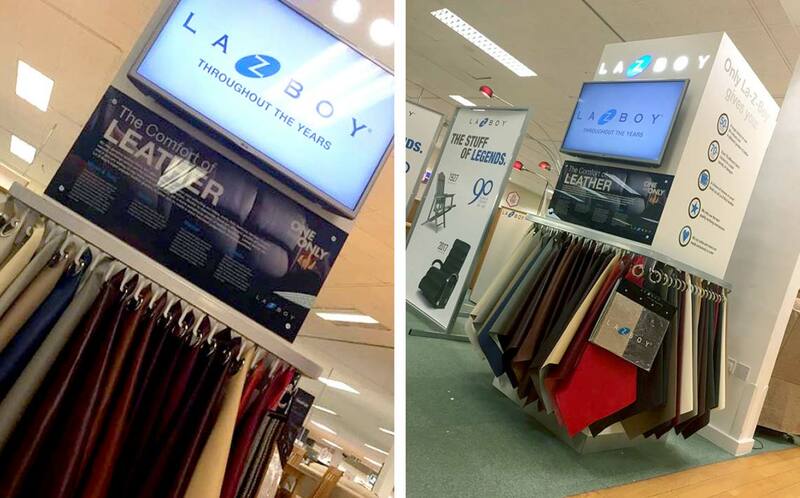 Cirka was appointed to assist La-Z-Boy with their 2017 retail plans after a successful acquisition of the license for the La-Z-Boy brand in the UK and the Republic of Ireland from Furnico Ltd.
Cirka took early ideas and customer input gained at the January Furniture show, which provided both creative 3D and 2D support to the brand. Working within a fixed budget, Cirka took this creative start point and simultaneously evolved and developed ideas into a commercially and retail ready suite of retail displays. Forming the 2017 La-Z-Boy Furniture Gallery. 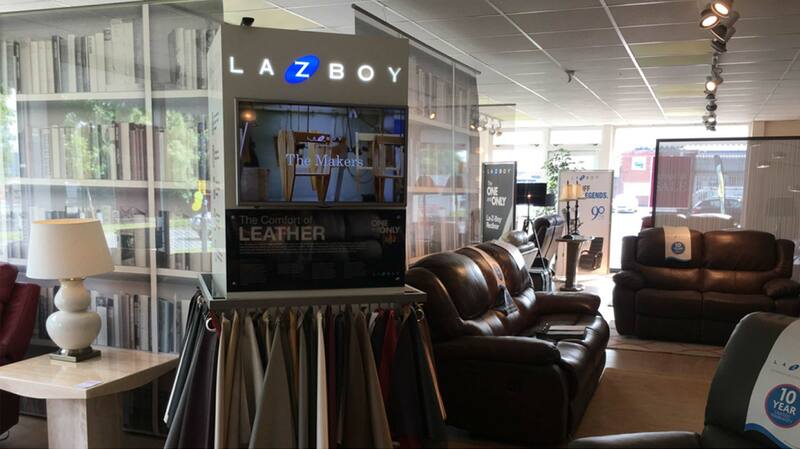 The purpose of the retail displays was to create a central focal point within the La-Z-Boy retail concession or gallery. 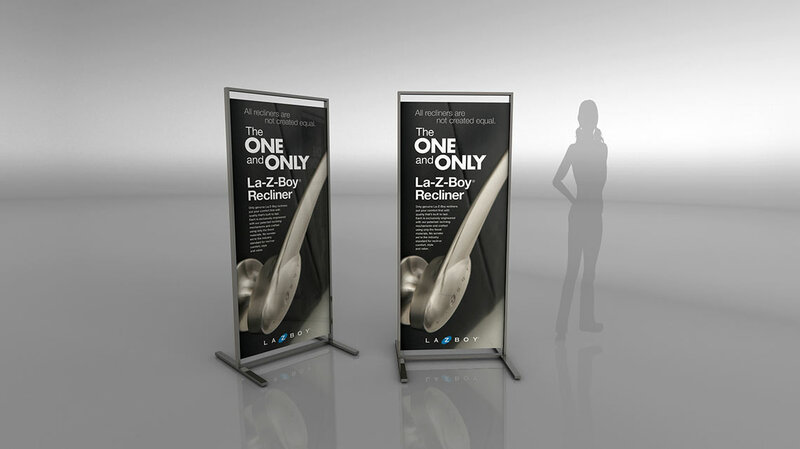 The retail display creates a destination in-store and drives brand awareness and a starting point for both shoppers and sales staff. 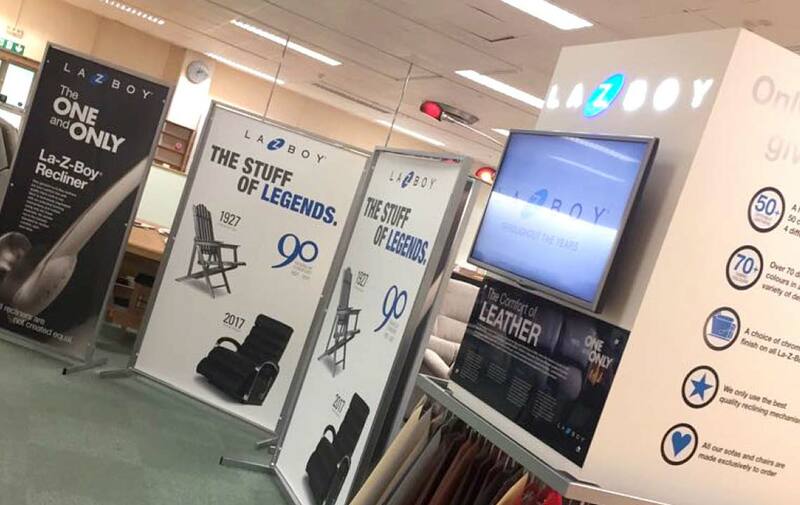 The display column contains all the active and silent sales tools that La-Z-boy identified as key to their selling process. The retail display holds all the leather samples and material swatches plus sales literature. It also houses a display screen that explains the brands heritage, points of difference and product benefits. 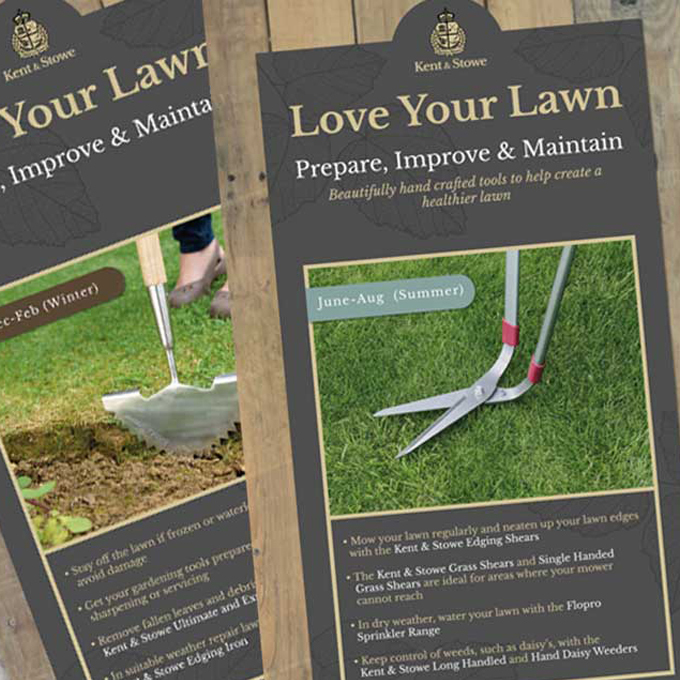 These product benefits are also displayed on the side of the retail display and forms a quick and easy visual quality check list for shoppers as they browse the category. 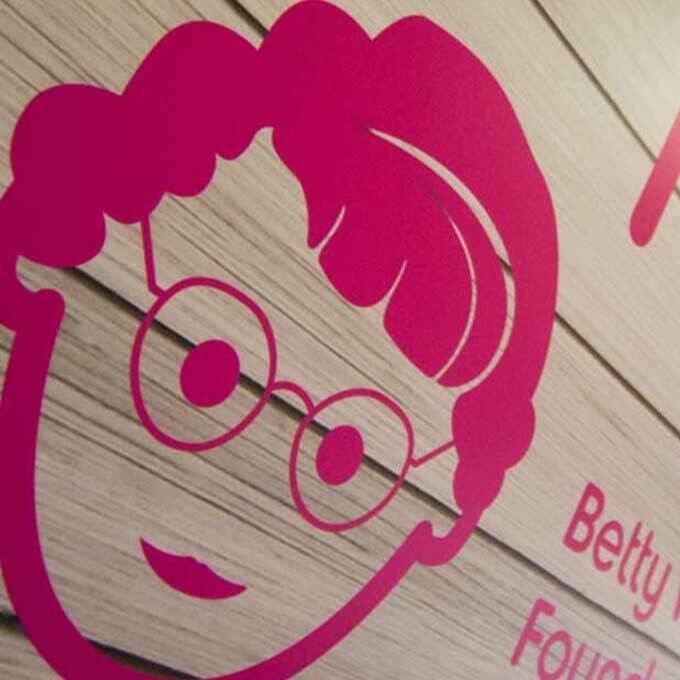 Cirka Creative were responsible creation and adaptation of all these key retail graphics. 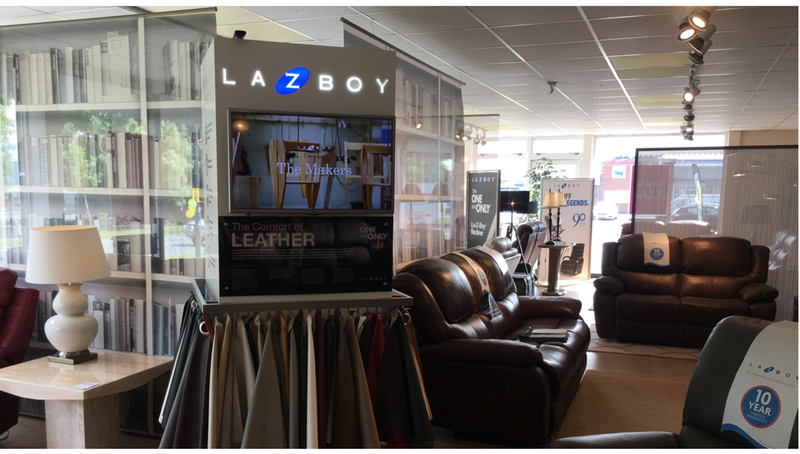 Supporting graphic display fixtures allow the brand to define the space contained with the furniture gallery with retailer partner’s open plan furniture stores. The graphic fixtures were designed to be easy to move and position in-store allowing both brand and retailer flexibility to within the retail space to maximise impact without blocking internal vistas. Dave Darragh: La-Z-Boy UK sales director.